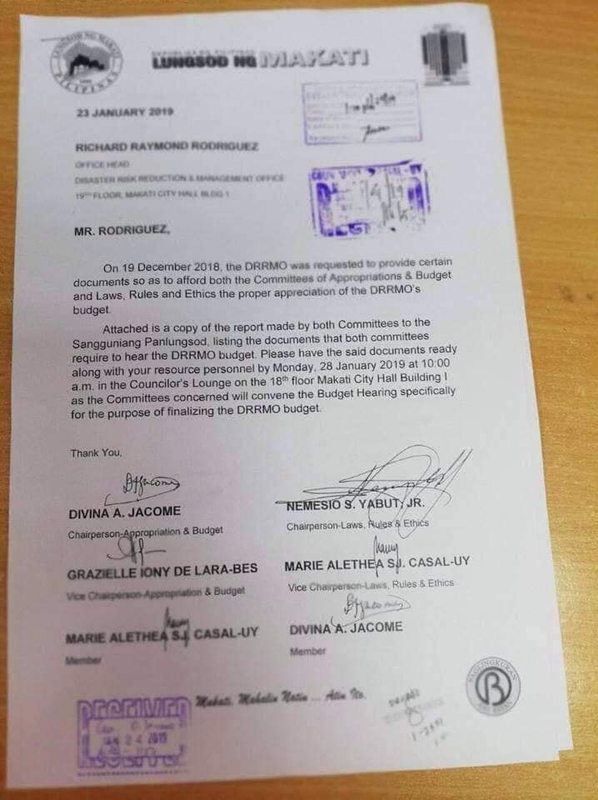 Manila, Philippines - Netizens are divided the way they react after they saw Makati's Executive Budget for 2019. 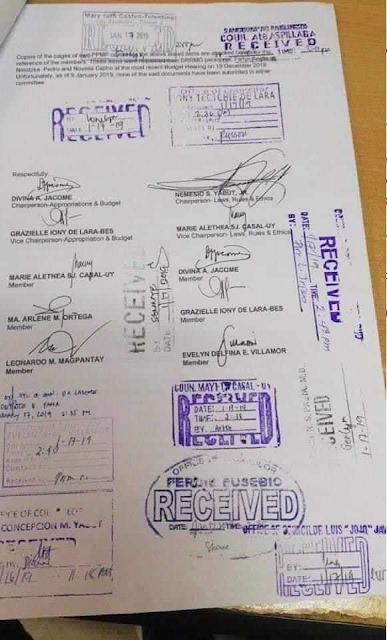 The photos of the controversial budget for 2019 are making the rounds online after people noticed several items are so expensive. 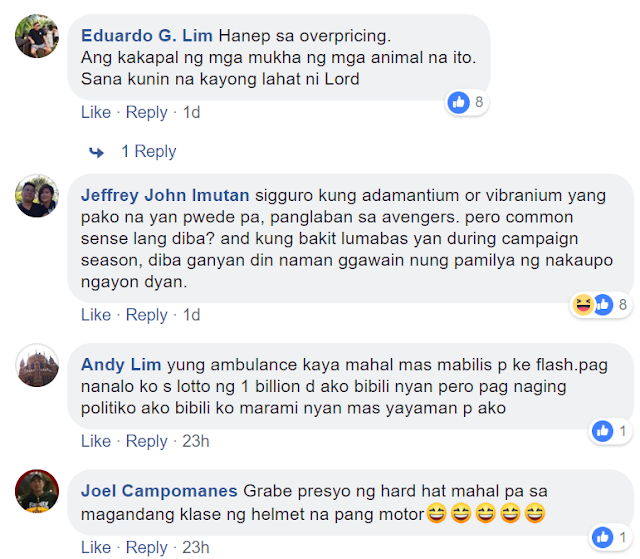 While others are serious about the issue of approving the budget blindly with the obviously over-priced items, others are also taking the issue lightly with their hilarious explanations about the over-priced items. Here are some of the most noticeable items which unclear to everyone to what kind of material used to certain items that cost them badly. 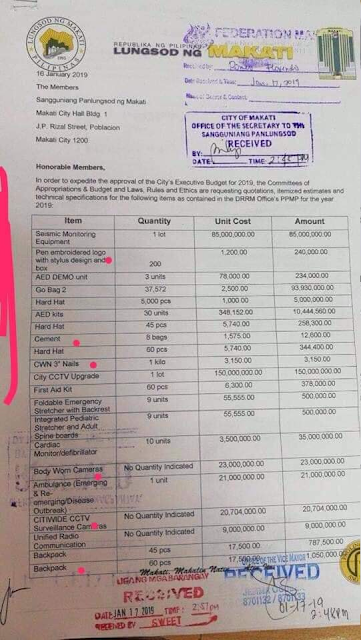 Like for example, this pen with an embroidered logo and box that cost Php 1,200 each, a hard hat which cost Php5,740 and a bag of cement priced at Php 1,575. Moreover, netizens made their eyeballs out on the backpacks listed on the budget with 45 and 60 pieces has a gold priced of Php 17,000 each. Whoa! 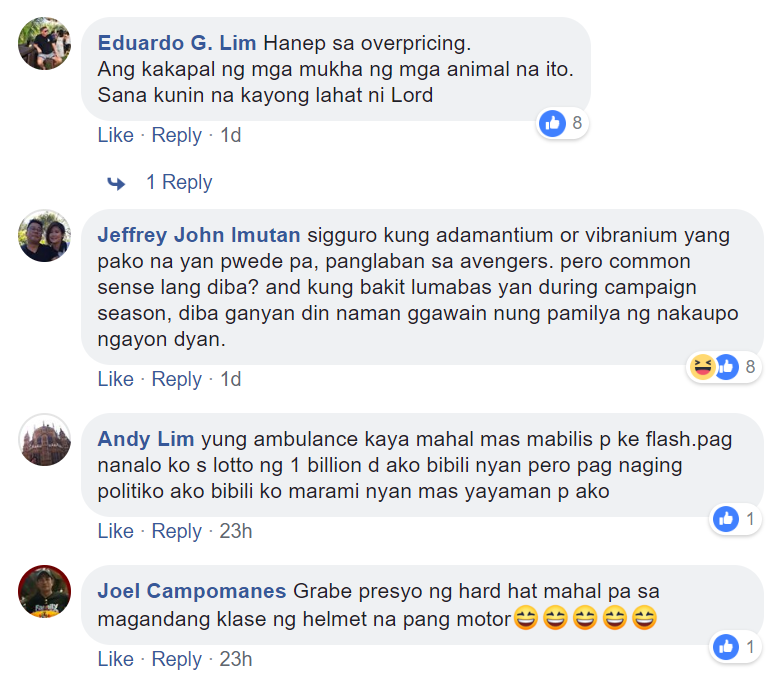 However, netizens couldn't help but to share some of their hilarious explanation about the golden price of the items.